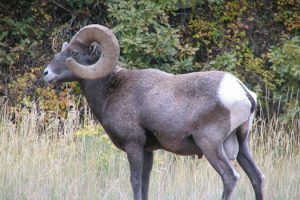 Keep an eye out for Bighorn sheep and wild turkeys at this Colorado Trail gateway near Chatfield. Run, hike, or bike the primarily flat 6-mile one-way trail. No dogs allowed on this one, though. Catch Windy Saddle Park just outside of Golden, across from Lookout Mountain. 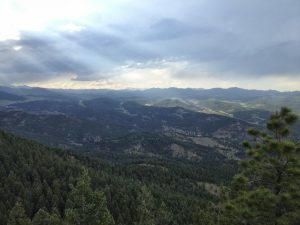 The Chimney Gulch Trail offers a 5-mile round-trip excursion and 1,000 ft. of elevation gain to wonderful summit views, perfect for your post-work hike or bike. Take the Independence Mountain Trail for an 800 ft. ascent to an 8300 ft. summit, prime for watching the sunset. You’ll find pines, aspen groves, wild flowers and a deep thigh burn in this lesser known spot near Denver. Head to Panorama Point for a casual 2.7-mile round-trip hike. You’ll follow a seasonal stream until the trail steepens, where you’ll have to put in some work for the dazzling summit view of Mt. Evans. The trail head for Panorama Point starts Northeast of Evergreen on Highway 74. Test your skills at this bouldering mecca near Evergreen. 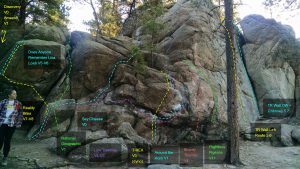 It’s a friendly 1-mile walk to the boulders, and you’ll find problems for all skill levels. In for a full day adventure? Combine your bouldering day with hiking or biking on the other trails in the area! Looking for more exploration opportunities? Check out our calendar for upcoming trips. 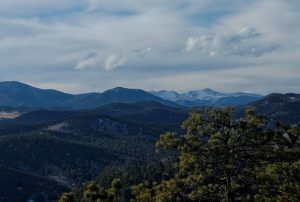 Colorado Mountain Club also offers several courses across the state that teach hiking skills, including Wilderness Trekking School and Introduction to Hiking Safety.